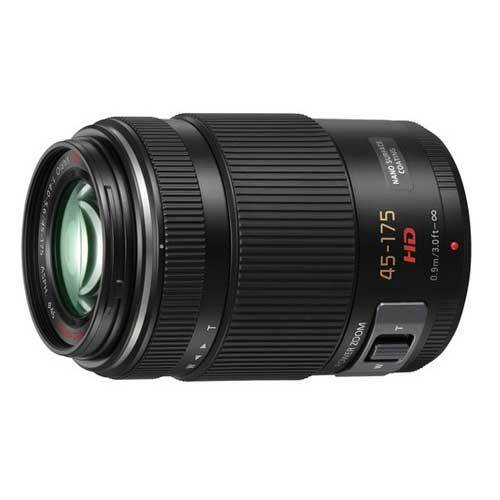 The Panasonic Lumix G X Vario PZ 45-175mm f/4-5.6 OIS Lens is a long-reaching telephoto that is only about a half pound – ideal for travel. Power Optical Image Stabilization minimizes camera shake when shooting at slow shutter speeds while a stepping AF motor and an internal focus design ensures smooth and near-silent operation, a great feature for video shooting. The power zoom feature provides smooth, intuitive motion from the built-in zoom lever. This lens is ideal for sports, wildlife, and video/photo hybrid projects. • This lens is compatible with Micro Four Thirds mount cameras. It is not compatible with Four Thirds mount cameras. The focal length equivalent in 35mm format is 90-350mm.